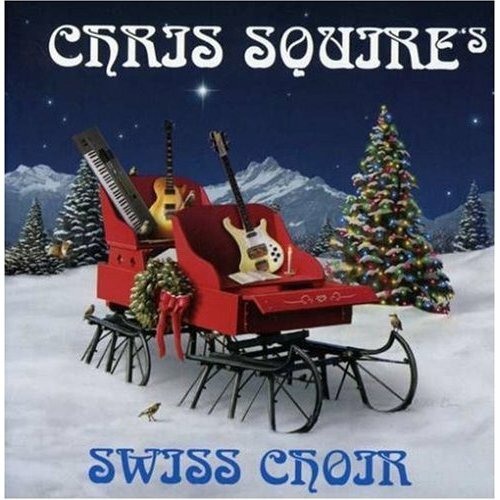 Chris Squire's second solo album since 1975's classic Fish out of Water is actually the third Christmas album from a Yes alumnus... In tow is ex-Genesis guitarist Steve Hackett who contributes leads and acoustic parts that add further credence to this not-so-light-weight English choral project. His playing across the disc makes it an odd departure, which works by adding a hint of a classic Genesis feel to many of the tracks including classy arpeggios and metal tinged solos. Notable cuts include "Sussex Carol" which spotlights Hackett's most prominent fluid lead lines and "Gaudete" which, although varying dramatically from the more well known Steeleye Span arrangement, comes off well due to the strong understated rhythm backing. The track list has a few common points with Jon Anderson's Three Ships on "Ding Dong Merrily on High" and "I Saw Three Ships." Both pieces rely heavily on full choral arrangements to instill a holiday theme less campy than other recordings of this ilk. "O Come O Come Emmanuel" opens with a flute and the bass man's trademark warble while "Personent Hodie" is one of the newer pieces in sung in Latin. Chris's solo vocal is only present on three tracks and is not sung in his standard Yes counterpart harmony range. Although many tracks are previously unknown to Americans, the unique choice of festive songs is what slots this recording in a different niche than your typical holiday fare.